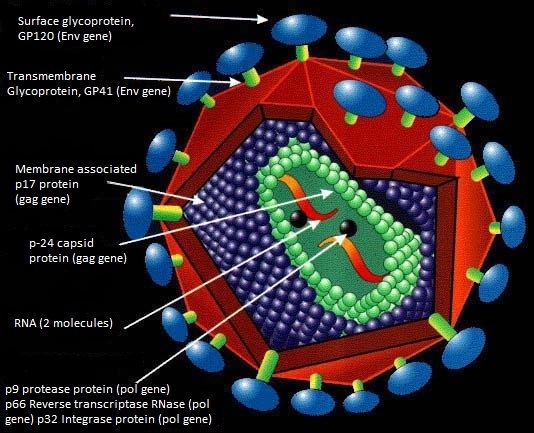 In accordance with the terms and conditions under document “Proposal of creation of an Red RIS envelope repository”, several research groups which are part of the Red RIS network have generated expression plasmids of the HIV envelope’s glycoprotein for the purposes of different studies on immunopathology, vaccination or resistance to viral entry/fusion inhibitors. Such plasmids have been generated within the framework of different collaborations between different research lines in the Red RIS network, all applying the same methodology concerning envelope isolation and clonning, functional categorisation and genotyping. The HIV Biorepository is in charge of management, storage, maintenance and cession to research projects of the plasmids. For all matters related with the transfer of envelopes, please contact M Ángeles Muñoz-Fernández (BioBancoVIH.hgugm@gmail.com; mmunoz.hgugm@gmail.com), Julià Blanco (jblanco@irsicaixa.es) and Cecilio López (clopez@isciii.es). The next step is to fill in the transfer form. The staff in charge of envelopes will assess the application’s compliance with transfer requirements and will approve or deny your application within one week. Upon approval of the envelope transfer application, you must send all of the following to the HIV Biorepository: 10 aliquots of 20 ml with at least 1 mg of DNA per aliquot + 1 aliquot of 1ml with frozen transformed bacteria. The HIV Biorepository keeps more than 500 envelope clones from HIV+ progressors, non-progressors and standard patients. A selection of the most relevant clones has been conducted, keeping HIV-1 NL4-3 and HIV BaL viral isolates as a reference. 50 clones from rapid progressors, reduced to 17 or 5. 34 clones from HIV+ non progressors, reduced to 15 or 4.